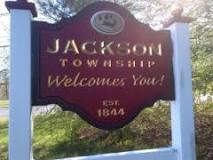 Jackson NJ Real Estate: Jackson is a larger medium-sized town located in the state of New Jersey. With a population of 56,365 people and nine constituent neighborhoods, Jackson is the 20th largest community in New Jersey. Unlike some towns, Jackson isn’t mainly white- or blue-collar. Instead, the most prevalent occupations for people in Jackson are a mix of both white- and blue-collar jobs. Overall, Jackson is a town of sales and office workers, professionals and service providers. There are especially a lot of people living in Jackson who work in sales jobs, office and administrative support and management occupations. The overall education level of Jackson citizens is substantially higher than the typical US community, as 31.31% of adults in Jackson have at least a bachelor’s degree, and the average American community has 21.84%. The per capita income in Jackson in 2010 was $36,122, which is middle income relative to New Jersey, and wealthy relative to the rest of the US. This equates to an annual income of $144,488 for a family of four.